I made it known to Mr Putin that if he came to Paris, I would not accompany him to any ceremonies, but that I was ready to continue the dialogue on Syria. He decided to postpone the visit…With Russia, France has a major disagreement on Syria and the Russian veto of the French resolution at the U.N. Security Council has prevented the cessation of bombings and enablement of a truce. I’m ready to meet President Putin if we can advance peace, end the bombings and announce a truce. During an annual news conference with reporters, Putin comments on Trump’s standing in the race. He is a bright and talented person without any doubt. [He] is an outstanding and talented personality. [He is] the absolute leader of the presidential race. At a Kremlin meeting, President Putin offers a $50 million reward for information leading to those responsible for the downing of the jet. We will find them anywhere on the planet and punish them. You can definitely say that this is a terrorist act. Putin phones John for real and the two agree a face-to-face meeting if their schedules allow it. A Kremlin spokesperson says it took some convincing from the Russian side for John to believe it was really Putin who wanted to talk to him. He (Elton John) was in doubt for a period of time. If their schedules match accordingly, he’s ready to meet and discuss any issue which interests [the musician]. I think the violence toward LGBT people–they don’t feel safe–but this something I don’t really want to talk about over the phone. The president has always been open to discuss human rights issues…I would recommend to apologise (to) Elton John, he is a respected and favoured singer here. It was not good to trick him like that. Pranks are funny. Homophobia, however is never funny. I love Russia and my offer to talk to President Putin about LGBT rights still stands. I will always stand up for those that are being degraded and discriminated against. If this unfortunate incident has helped push this vital issue back into the spotlight, then I am happy to be pranked on this occasion. A spokesman for Putin says that the Russian President did not speak to John. I don’t know who spoke to Elton John but President Putin did not speak to him. I don’t know [what happened] but President Putin did not speak to Elton John and most importantly we didn’t receive any proposals to meet. If the president does get such a signal from Elton John, the president has always been open to discuss any… human rights problems, any issues. He is always ready to clarify the real situation. John says that Putin called him to discuss gay rights in Russia. 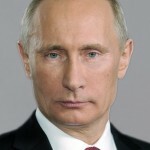 Thank-you to President Vladimir Putin for reaching out and speaking via telephone with me today. I look to forward to meeting with you face-to-face to discuss LGBT equality in Russia. Give me a break. You are President of Russia, and you go and say stupid things like that?..I would like to meet [Putin]…It’s probably pie in the sky… He may laugh behind my back when he shuts the door, and call me an absolute idiot, but at least I can think I have the conscience to say I tried. Sisi will meet with Putin next Wednesday in Moscow to promote closer strategic and economic ties with Russia. Issues concerning the Middle East will be also be discussed. Putin calls for his government to cap rising vodka prices amid fears that sharp price inflation will drive people to drink illegal liquor. According to a leading university study last year, 25% of Russian men die before reaching their mid-50s, and alcohol was found to be a contributing factor in some of these early deaths. Since last year, the government-regulated minimum price of half a litre (17 oz) of vodka has increased by around 30% to 220 roubles ($4.10; £2.64). Annual inflation in Russia is currently at 9.4%. Analysis of this resource showed that it is not capable of providing information about the region and life of the country in a detailed or sufficient way. The creation of an alternative Wikipedia has begun. It isn’t known if access to Wikipedia in Russia will be affected. I prefer modern studies to history. Well, I don’t approve of a range of Russian actions, but he is more effective than most and you can see why he carries support in Russia. Certain aspects. 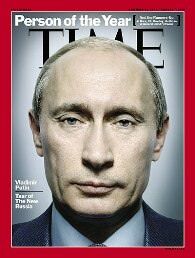 He’s restored a substantial part of Russian pride and that must be a good thing. There are aspects of Russian constitutionality and the inter-mesh with business and politics that are difficult to admire. He also discusses whether the Iraq War was illegal and former Prime Minister Blair a war criminal, Kosovo, Syria and Afghanistan. The leader he admires most is German Chancellor Merkel, and he admires Obama’s campaigns but says he should be effective despite running a minority government. Putin tells NATO and US not to mess with Russia. He also says that Moscow doesn’t want or intend to wade into any “large-scale conflicts”. I want to remind you that Russia is one of the most powerful nuclear nations. This is a reality, not just words. We must always be ready to repel any aggression against Russia and (potential enemies) should be aware … it is better not to come against Russia as regards a possible armed conflict. We all speak with one voice, and I must have spoken over 100 Russian businessmen, over 100 Ukrainian businessmen, and western businessmen, and every one of us are incredibly sad that the e dreams of what had happened when the Berlin Wall came down of the Russian people being able to trade merrily and go on the holiday with western peoples, with working together to sort out the bigger problems of the world, seems to be diminishing rapidly. President Putin, I think he needs to realize that Russian business people, and the people who have signed this document, you know, the biggest car manufacturer in Russia, the biggest dairy producers in Russia, the biggest supermarket chain, they are all self- made people who are very saddened and worried a about the way things are going. But the last thing that is needed is military intervention. And, you know, that should be a thing of the past. Further military intervention will result in decades, I think, of Russia being ostracized. It means that Europe won’t buy its fuel from Russia. The people of Russia will suffer, and that is not the answer. We need to get President Putin to feel not that Ukraine should be a part of Europe or Ukraine should be part of Russia, but that we should all be part of one world. I would be delighted to sit down with him and delighted to meet him and be delighted to see whether, you know, issues can be bridged, because they have to be bridged one day. And you know, today is better than waiting for tomorrow. I just think it’s extremely sad to see in my lifetime the Berlin Wall coming down, and then a number of years later, all that hope seemingly disappearing. And I have a lot of Russian friends, a lot of Ukrainian friends, a lot of business leaders from both countries. And I’ve spoken with them, and they’re equally sad. And we felt it was important to speak out to beg our politicians to — through diplomacy to resolve this particular issue. And then, as quickly as possible, to try to get back to the normality that existed between Russia and Europe and the rest of the world after the Berlin Wall came down. The first important thing that’s happening is that the president of Ukraine is meeting with President Putin next week, and let’s hope that something positive comes out of that. If that fails, then the group of people that we’ve put together, the group of Russian business leaders would be delighted to meet up with President Putin and see whether a compromise can be reached. The group of Ukrainian business leaders that we have onboard would be delighted to sit with the Ukrainian president. And I think we could use our negotiating skills, our entrepreneurial skills to reach a compromise. I don’t know. I think that we would be irresponsible if we didn’t give it a try. And I think that he feels that when he got reelected, the West didn’t welcome him into office, that he was somewhat ostracized by the West. And therefore, he’s going it alone somewhat. And I think that whatever caused him to feel that, it’s up to the West, I think, to make it clear that we want Russia to be — ultimately, that we want Russia to be part of Europe, we want to be able to trust each other completely. And that’s what we’ve all got to try to work towards and try to put the last year firmly behind us and try to find a positive way forward. Cameron asks Putin to intervene so that victims of the crash can be removed from the scene and returned to their countries. I want to see results in the form of unimpeded access and rapid recovery. This is now priority number one. We’ve seen the message but have no particular comment. A vote by the upper parliament prevents Putin from using troops in Ukraine to deal with the crisis. 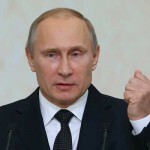 Putin had requested the order be revoked on June 24. Only one lawmaker votes against revoking his power to use force, 153 vote in favor. Putin is supports Ukraine’s cease-fire declaration and is now asking for both sides to reach a compromise. Putin says the compromise must guarantee the rights of the Russian-speaking residents of eastern Ukraine. They must feel they are an “integral part” of their own country. The comments were made today following a ceremony commemorating the Nazi invasion of the Soviet Union on this day in 1941. The Ukrainian leadership must show its goodwill and wisdom. They have to immediately stop the operation and announce a cease-fire. There is no other way to create the conditions for negotiations. When people see the comments I made, they will see that they’re perfectly reasonable. I said I deprecated Russian actions in Ukraine and also its human rights record. I pointed out that the western press underestimated Putin and that’s obviously true … When I was talking about the pride issue, it was in the aftermath of the Sochi [winter] Olympics, which was obviously a restoration of Russian pride. Those are reasonably balanced remarks. He’s not a good guy, but he’s done extraordinary things. He’s a new tsar of Russia and he’s dangerous in the sense that he doesn’t care about civil liberties; he doesn’t care about free speech; he cares about stability. But stability is what Russia needed and that’s why Russians adore him.